Another successful Piyesta Pinoy for the books! Chicago, Il. 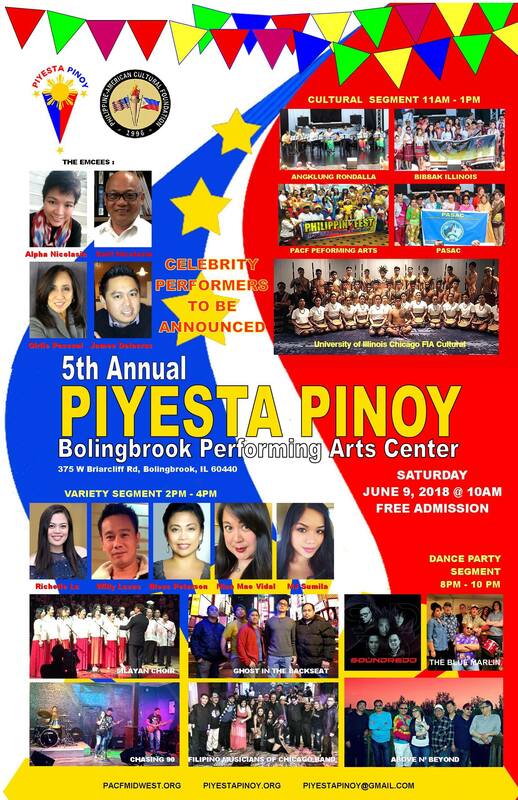 – We are so happy to announce that the biggest Filipino American festival in the the greater Chicago area and the Midwest will be back in 2019 – Piyesta Pinoy will be back at the Bolingbrook Performing Arts Center. Once again, the festival will be coordinated by the Philippine American Cultural Foundation in partnership with the Philippine Consulate General in Chicago and the Village of Bolingbrook..
PACF is celebrating its 23rd anniversary this year! Let us continue to promote and share our rich Filipino cultural heritage and traditions so our children, grandkids and future generations will remain proud of their Filipino cultural identity and heritage as Filipino Americans. Founded in 1996 as a Not-For-Profit tax exempt 501(c)(3) organization, PACF is highly dependent on the goodwill and generosity of its supporters, its volunteers and friends like you. We need your assistance in our fundraising activities to promote our Filipino culture to Filipinos and Non-Filipinos in Illinois through music, dance & exhibits; sponsor our youth PACF Performing Arts Group; co-sponsor cultural projects such as Philippine Fests (Piyesta Pinoy) in Bolingbrook & Navy Pier locations; recognize FAHM Outstanding Filipino American Seniors; showcase the Philippines in Asian & International Fest; expand its educational/cultural/social services programs and intensify its humanitarian efforts. Your participation and support are always valuable and critical to the survival of PACF and its programs. Your help in any capacity is greatly appreciated. 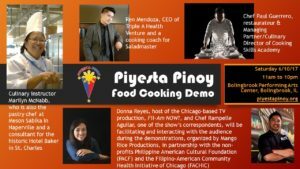 To donate to PACF, get more information on Piyesta Pinoy and all other PACF events and to join this year’s Piyesta Pinoy celebration, please visit the Philippine American Cultural Foundation website http://pacfmidwest.org/. 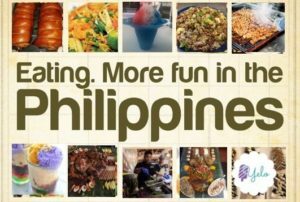 For more information on Piyesta Pinoy – visit our website http://www.piyestapinoy.org. Year five and stronger than ever! , IL — One of Chicagoland’s biggest celebrations of the Philippine culture returned to Bolingbrook for the 5th year on Saturday, June 9, 2018 and it was a huge success. An estimated crowd of about 7,000 came to join the Piyesta in spite of the heavy rain early morning. The rain stopped just before 11am and the festival went on schedule from 11am to 1030pm without rain. Thanks again to the consistent prayers to St Clare by the volunteers. The weather cooled off later in the evening that brought in more crowd in time for a the celebrity segment and the dance party night that featured four bands. “Today’s festivities honor the leadership, achievements, and ongoing cultural, economic, and social contributions from the Filipino American community in Illinois. I commend the planning committee for organizing a wonderful celebration of Filipino art, music, cuisine, and culture each year. The efforts of all the organizations and volunteers enhance the rich diversity of our state, and I am proud to join you in commemorating this special day. I congratulate the Filipino American community on this proud day and look forward to further developing our close friendship and partnership. As we build a better future for all our families across the state, I commend the community for its daily efforts in promoting the well-being of the community and richness of Filipino culture here in the Land of Lincoln.” said Illimnois Governor Bruce Rauner who graced the Piyesta Pinoy for the first time. Also attending for the first time is our new Consul General Gina Jamoralin who said in her message “ To the Filipino American community, we thank you for supporting efforts to promote and preserve our rich Filipino heritage while upholding the common values and shared history between the Philippines and United States”. This year’s festival included the inaugural Piyesta Pinoy Gawad Kalinga 5K (Run, Ruck, Walk. It was a rainy Saturday morning but the inclement weather did not dampen the enthusiasm and spirit of the mission oriented GK Chicago. Our appreciation to the runners, walkers, advocates, volunteers, friends, donors and Piyesta Pinoy. As in the previous years, the biggest crowd came during the TFC hour. Many thanks to The Filipino Channel for bringing celebrity actor/singer/composer Inigo Pascual along with versatile emcee Poca from the Bay area in California. Congratulations to the 2018 Piyesta Pinoy Raffle Winners!! 1st Prize – Sahlee Songco One-Eva Air Round trip ticket to the Philippines, 2nd Prize – Teresita Viduya Saladmaster cookware and 3rd Prize – Marietta Dizon 1 LBC Balikbayan Box Gift Certificate. Festival organizer, the Philippine American Cultural Foundation, would like to thank our organizing partners and hosts – the Philippine Consulate General of Chicago and the Village of Bolingbrook. We also would like to thank our sponsors for their donations and continued support: Platinum Sponsors – The Filipino Channel, Three Horses Jasmin Rice; Gold Sponsors – Blue Cross Blue Shield of Illinois, Century Properties, LBC Mundial Corporation Rivers Casino and Seafood City; Silver Sponsors – Allstate, Creative Imprints Plus, Eva Air, Mora Asian Kitche, Salad Master/Triple A Health Venture and Signature Event Designs; Bronze Sponsors – AREAA, Bayan Mall, Bolingbrook Bugle, Countryside Bank, Cruise Planners, Equis Future, Geodis and World Remit, ; Donors – Amita Health, BioNWater, Globe, Indomie Noodles, Magnolia and Nicor Gas. Maraming salamat to MegaScene, PINOY News, and VIA Times/CPR TV for media sponsorship. Maraming salamat to our food vendors Better Way Coffee, Kitty’s Irish Ice, Kona Ice of Wheaton, Mabuhay Restaurant, Manila Fiesta, Mora Asian Kitchen, Ox Tail Filipino Inspired, Seafood City, South Sea Carry Out, Yelo and the concession stand at the venue, Bolingbrook Performing Arts Center. Maraming salamat to our amazing performers: National anthem singers Emil Nicolasin and Silayan Choir; Cultural performers – BIBBAK Illinois, Chicago Angklung and Rondalla Ensemble, Kulturo, PACF Performing Arts, UIC FIA Cultural, Lane Tech Filipino Club, Philippine Dance Troupe of Fox Cities from Wisconsin and PASAC; Singers – Richelle Lu, Willi Lucas, Silayan Choir and Nina Mae Vidal; Dancers –UIC FIA Modern; DJ Richie Gil and Rommel Gaspar; Musical Bands – Above N Beyond, Blue Marlin Band, Chasing 90, Filipino Musicians of Chicago, Ghost in the Backseat, and Soundredd; and Emcees – Alpha & Emil Nicolasin, Ma. Girlie Pascual, and James Delacruz. Maraming salamat to the 2018 Piyesta Pinoy sa Bolingbrook Committee who worked very hard since last year to make this year’s festival a huge success. : Overall Chair Ruben Salazar, PACF President Adeline Fajardo, Rae Joyce Baguilat, Romy & Tita Balcita, Glenn Bermejo, Daniel Boyle, James Delacruz, Jason Dela Rosa and the Photo/Videographers Team, Michelle Delson, Allen Desiderio and the Security Team, Jan Paul Ferrer, Nell & Lain Frias, Rudy & Carmen Garcia, Andy Gaston, Everett Icao, Cindy Lopez, Trista Maltizo, Anna Gina Millan, Pia Natividad, Ely & Evelyn Natividad, Alpha & Emil Nicolasin, Rome Nichols, Ms. Girlie Pascual, Marie, Joanna Ramos, Joy Ranay, Abegail Rodriguez, Merle Salazar, Lisa Simbol, Bryan Ranchero and the Philippine Nurses Association of Illinois and all the First Aid Team,. Thank you to all our volunteers and unsung heroes and excuse us for not listing all your names. The successful operation of each area from souvenir program to communications, raffles, stage performances, volunteers, cultural activities, delicious food, first aid, and others made this celebration truly enjoyable and… the best ever. It would not be humanly possible to orchestrate such efficient and meaningful activities without your help. Lastly, maraming salamat to all our kababayans, families and friends who had attended this year’s festival! We hope to see you again next year! We hope that you will continue to join activities that promote our cultural heritage, traditions and pride as a Filipino American community. Looking forward to your involvement and participation in our next Filipino community event. MABUHAY! So much entertainment, activities, food, things to see, excitement and fun for the whole family, you’d wish this was a two-day event. 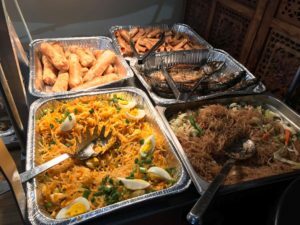 Now on its 5th year, Piyesta Pinoy, the Midwest’s biggest Filipino festival promises to be a “never a dull moment” twelve-hours of merrymaking. The festival day begins with a 5K Run Roll and Walk at 9AM organized by Gawad Kalinga, and a volleyball tournament from 9AM – 5PM presented by Froghops Sports. A parade at 11:00AM, officially marks the start of the festival. The main stage entertainment begins simultaneously with the parade with Rondalla music by Chicago Angklung Rondalla Ensemble, followed by the national anthems to be performed by Silayan Choir and Emil Nicolasin, and the introduction of Philippine Consulate and City of Bolingbrook officials. The cultural segment is scheduled from 11AM – 1PM and features performances by PACF Performing Arts, Bibbak Illinois, Philippine American Seniors Association of Chicago (PASAC), Philippine Dance Troupe of Fox Cities, UIC FIA Cultural, Lane Tech Filipino Club and Kulturo. There will be a one-hour technical break between main stage segments to allow people to get food and join in the many activities. The Variety Show segment is from 2PM – 4PM, and showcases the incredible talents of Silayan Choir, Seafood City’s Sing Sikat finalists, Richelle Lu, Willy Lucas, and Nina Mae Vidal, and an urban dance number by UIC FIA Modern. This segment culminates with three bands performances by Ghost in the Backseat, Chasing 90 and a big segment finale by the Filipino Musicians of Chicago Band (FMOC). The TFC Celebrity hours is from 5 PM – 7PM and this year’s Celebrity guest is Filipino recording artist and actor Inigo Pascual, popularly known for his 2016 hit single, Dahil Sa’yo, the first number one song on Billboard Philippines’ then-new Philippine Top 20 chart. Supporting him will be Comedian POCA from California. The opening act for the TFC celebrity hour will feature Sing Sikat champion MJ Sumila and LOL segment with fun, games contests. New this year is the heart pumping foot thumping dance party segment from 8PM to 10PM. With four live bands and a DJ playing non-stop dance party music making this segment worth staying in the festival grounds 2 hours longer. Enjoy the live band music by Above N’ Beyond, Soundredd, The Blue Marlin Band, and grand finale, a collaboration between Above N’Beyond and Filipino Musicians of Chicago Band (FMOC). So, get those dancing shoes ready. If you don’t dance, bring your lawn chairs, blankets and picnic baskets (some festival food vendors may stay open late) and simply enjoy the live concert. And yes, there are tons of activities for the whole family, the entire day at the cultural tent area, also known as the Visayas tent. Starting with warm up Zumba session before the 5K Walk Roll and Run. Zumba workshops will be conducted by Julie Azarcon throughout the day with an exciting finale with DJ Johnny Jay at 7PM. Other activities include a stilts workshop by Bibbak, basketball three-point shootout by FABA Chicago, Martial Arts demo by DBFMA and Kampilan Eskrima, Tinikling workshop by Kulturo, a Rondalla music workshop by 3JNR Rondalla, Baybayin (Ancient Filipino Script) workshop by Filipino American Historical Society of Chicago, Pabitin and Pinata, a video arcade by Galloping Ghost Arcade, meet and greet with JAX of Mortal Combat, and train rides and rock wall climbing courtesy of Bolingbrook Park District. Watch out for free arcade passes and Clique Nutrition giveaways from JAX. 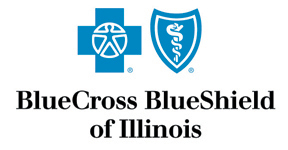 PT solutions and Amita Health will provide first aid and stretches for 5K participants. This year’s cultural partners also include Bolingbrook Park District, Chicago Cultural Alliance, Chicago Suburban Christian Church, Couples for Christ, Filipino American Historical Society of Chicago, Filipino Friendship Society, Fountaindale Library, Legion of Mary, MAFASDA, Morton Arboretum. PACF Performing Arts, UPAAGC and Westbrook Christian Church. The Luzon tent will feature sponsor displays (watch out for giveaways) and merchandise vendors. Mindanao tent is reserved for miscellaneous activities. 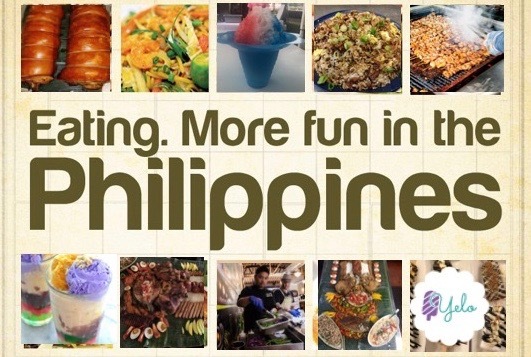 So plan your visit to maximize the Piyesta Pinoy experience and the fun. Festival maps and program will be posted all throughout the festival grounds. This festival is made possible by the support of The Filipino Channel, ABS-CBN News Channel, Cinema 1, Lifestyle Network, ABS-CBN Sports+Action, Three Horses Jasmine Rice, Blue Cross and Blue Shield, LBC Cargo, Rivers Casino, All State Insurance, Ayaland, Creative Impressions Plus, EVA Air, Galloping Ghost Arcade, Mora Asian Kitchen, Salad Master, Signature Event Designs, and Triple A Health Venture. The Philippine American Cultural Foundation is a 501c3 volunteer-based organization. 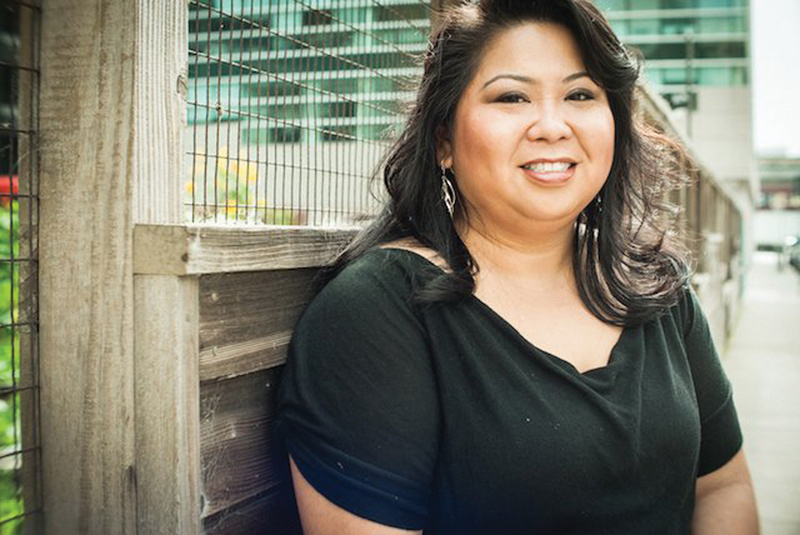 For more information, visit our official websites: http://pacfmidwest.org/, www.piyestapinoy.org or www.facebook.com/piyestapinoy. For inquiries, send us an email at piyestapinoy@gmail.com or simply send us a message on our facebook page. 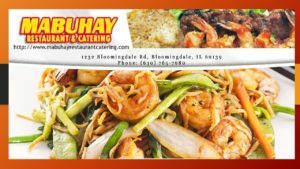 We are announcing the food vendors at this year’s Pioyesta Pinoy on June 9, 2018 at the Bolingbrook Performing Arts Center. 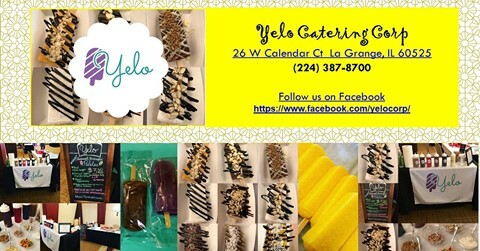 Yelo Catering will be selling paletas (ice pops) with toppings bar in a variety of flavors – Mango, Coconut, Ube, Pineapple Lime, Vanilla Bean, Chocolate fudge and others. Can’t wait to try Yelo Paletas? Visit Pop Up Paleta shop at United Kitchen 26 W Calendar Ave, La Grange, Illinois 60525 and follow their Facebook page https://www.facebook.com/yelocorp/ to find out their next event. 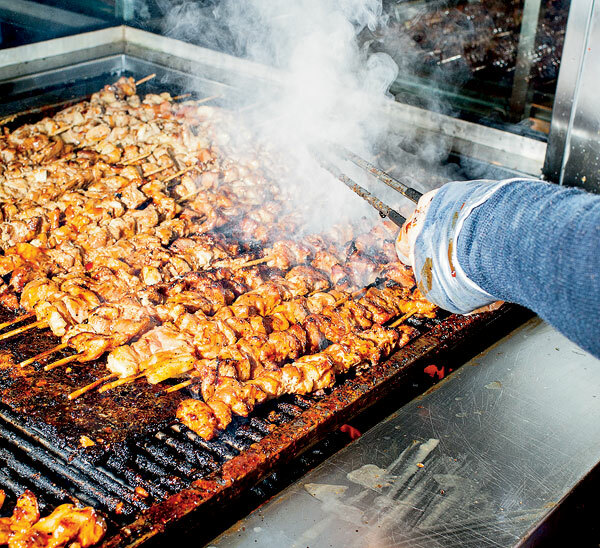 Seafood City Chicago will be back selling their famous pork and chicken barbecue, crispy chicken skin, shumai and baby coconut juice and others. Hungry now? 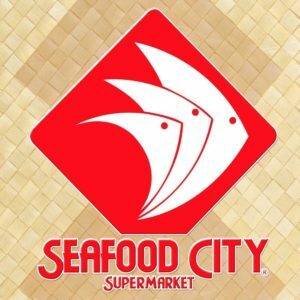 Visit their restaurants Grill City, Noodle Street and Crispy Town at Seafood City Chicago 5033 N Elston Ave, Chicago, IL 60630 to satisfy your Pinoy food cravings. We are announcing the 5th food vendor at this year’s Piyesta Pinoy on June 9, 2018. 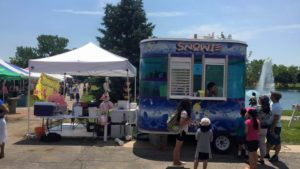 Kitty’s Shaved Ice will be back sellng their refreshing lemonade, shaved ice and yummy cotton candy. Announcing the 6th food vendor at this year’s Piyesta Pinoy on June 9, 2018. We welcome Oxtail Filipino Inspired, first time food vendor at Piyesta. 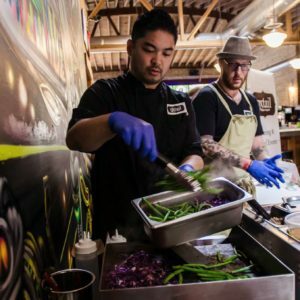 Chef Rampelle Aguilar will be selling Pinoy food fusion such as pork belly bao, Sariwa lettuce wrap and Longaniza Parathas. For Oxtail catering – Call (312) 566-7438. New this year, we welcome the 7th vendor at Piyesta Pinoy on June 9, 2018. 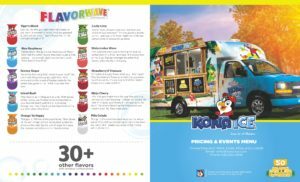 Kona Ice of Wheaton will bring their new food truck and will be selling shaved ice with different flavors from Flavorwave. 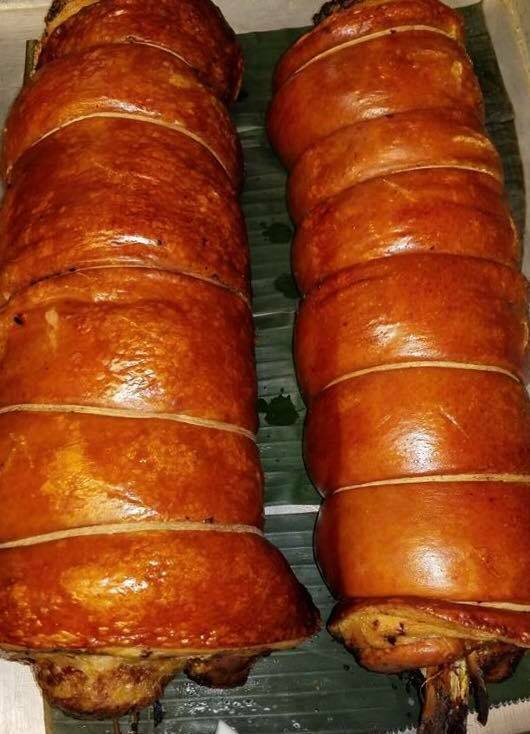 Try something new, a fusion of a Filipino favorite meat – adobo pork belly on a le ttuce wrap available at the food booth from Mora Asian Kitchen, a newly opened restaurant at the Bolingbrook Promenade Mall. We welcome Mora Asian Kitchen as the 8th food vendor at Piyesta Pinoy on June 9, 2018. The popular Manila Fiesta Fast Food will be back at Piyesta Pinoy on June 9, 2018. They will be serving the traditional Filipino fast food favorite such as pansit, egg roll, empanada, adobo, beef caldereta. For drink, they will be serving Halo-Halo and Sago at Gulaman. 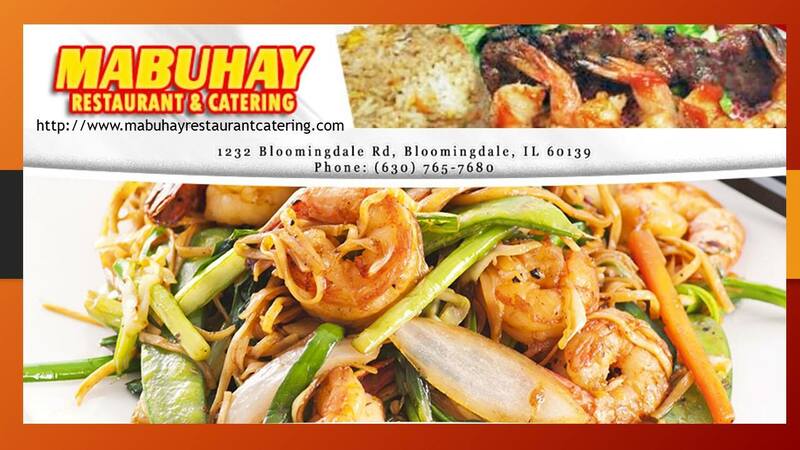 Hungry now, visit their store/restaurant at 1310 W Lake St, Roselle, IL 60172. New at Piyesta Pinoy this year, Better Way Coffee will be selling cups of hot and cold coffee, coffee beans (whole or ground) and ensaymada from CakesNCrumbs. Established November 2017, Better Way Coffee is a retailer/whole sale seller of whole bean and ground coffee to people/location who uses coffee beans using brewing technique. Better Way Coffee product will cater to people who want to get their daily cup of great tasting coffee wherein they can distinguish our product from other coffee right away upon tasting or even just through it’s aroma. Chicago, Il. – We are very happy to announce that the biggest Filipino American event in the Chicago area will be back. The 5th Philippine Fest Celebration (Piyesta Pinoy sa Bolingbrook) will be on Saturday, June 9 2018 at the beautiful Bolingbrook Performing Arts Center 375 W. Briarcliff Rd in Bolingbrook. Piyesta Pinoy, or Philippine Fest, is an annual celebration and showcase of Filipino heritage and culture. It features a variety of cultural and fun activities for all generations – live music and dances from both contemporary and cultural performers, authentic Filipino cuisine, cultural exhibits, arts & crafts, train ride, rock climbing, pabitin and other children’s games, an opening parade and other children’s activities. This year, Piyesta Pinoy Bolingbrook is expecting to attract an even bigger crowd as we welcome The Filipino Channel as our exclusive Philippine media partner and sponsor for the fourth year in a row. We are happy to announce that TFC celebrity star from the Philippines, Inigo Pascual, will be performing at the Piyesta Pinoy during the TFC hour. Inigo Pascual is a Filipino actor, singer, dancer, endorser, model, musician, performer, and a blogger. Inigo is the son of Piolo Pascual, an award-winning Filipino film and television actor, singer, model, performer, endorser, and producer, and to Donnabelle Lazaro. This year, Inigo Pascual leads the first ever Billboard Philippines Top 20 for his single “Dahil Sa’yo,” making him the first OPM artist to hit the no.1 spot in the BillboardPH Charts. His long list of accolades include FAMAS best supporting actor award in 2016 , first chart topper artist for Billboard Philippines, and Awit Awards for Best Performance by a new male recording artist, Best pop recording, Song of the Year, and Album of the Year. We are happy to announce that the 5K Walk/Run/Ruck will be back at Piyesta Pinoy. This year, @Gawad Kalinga (GK) Chicago will be the event organizer. To register – click on the link here –https://www.active.com/bolingbrook-il/running/distance-running-races/gawad-kalinga-5k-at-piyesta-pinoy-2018. We’re introducing a lot of new activities this year to make it truly fun for the whole family. In addition to the regular activities from the previous years, there will be basketball, volleyball, and Zumba. The main stage schedule includes cultural program 11AM – 1PM, Variety from 2PM – 4PM, LOL TFC Hour 5PM – 7PM and Dance Party 8PM -10PM. See you there! Applications for sponsors, partners, donors, businesses and cultural booth tables are now open. We are also looking for lots of volunteers to help with 5k, logistics, security, first aid, children’s activities and other miscellaneous tasks during the day of the event. All volunteers are requested to commit at least 4 service hours and must attend at least one meeting for volunteers scheduled on June 2 at the Seafood City 5033 N. Elston Avenue, Chicago, IL and on May 20 from 2:00pm – 4:00pm at the Fountaindale Public Library 300 W. Briarcliff Rd Bolingbrook, IL 60440. To volunteer, register online here. Chicago, Il. – In 2009, the US Congress thru the House of Senate and House of Representatives respectively passed H. Res. 780 recognizing October 2011 and every October thereafter as Filipino American History Month (FAHM) to celebrate the history and culture of Filipino Americans and their historic contributions to the Nation. For its 2017 Filipino American History Month theme, the Filipino American National Historical Society (FANHS) commemorates the 70th Anniversary of the 1947 Military Bases Agreement between the United States and the Philippines, the monumental effect it had on US-Philippines relations and the larger Pacific Rim, and the profound effect the law had upon the Filipina/o American community nationwide. This year also marks the 35th anniversary of the Filipino American National Historical Society, which preserves and disseminates the history of Filipino Americans. 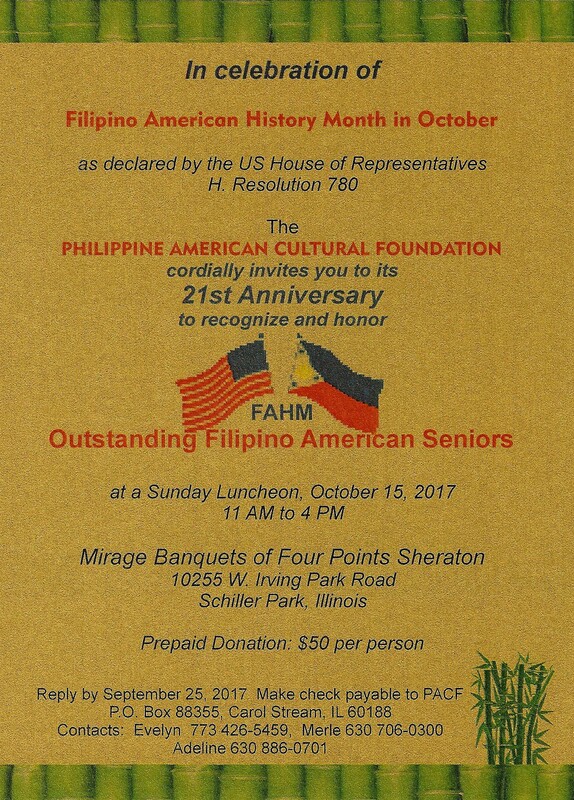 The Consulate General of the Philippines strongly encourages all Filipino-American communities in Chicago, suburban Illinois, and the Midwest, as well as those in Oklahoma, Arkansas, Mississippi and Louisiana, to hold relevant activities to celebrate the Filipino American History Month (FAHM) this October. We would like to invite everyone to actively participate and support the celebration of the Filipino American History Month Celebrations in Chicago and the Midwest. The schedule of events/activities is listed below. Let us take pride of our Filipino heritage and history. Let us come together and make every October celebration – a meaningful and memorable month. Sept 16 to Oct 30: “Filipino History Unveiled Through the Arts”*. 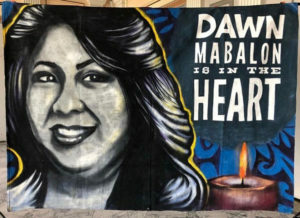 Display of the collaborative mural by 5 FilAm artists from Chicago and 5 artists from the Philippines and art work of local Filipino American artists Monica Acosta, Paul Balan, Tita Brady, Fred de Asis, Lea Rivera and Susan Silvano. At Trickster Arts Gallery, 190 S. Roselle St., Schaumburg, Illinois. Oct. 4 Wednesday 6-8 pm – Tagalog 101. * Classes begin on 04 October for 10 (ten) weekly sessions every Wednesday at 4300 N. California Avenue, Chicago, IL 60618. Sponsor – AFIRE, Contact Naomi Salcedo nsalcedo@afirechicago.org. Oct 6, Friday, 7 pm, . “Millete Silverio & Friends in Concert” Former Madrigal Singers in the U.S. are joined by area musicians in an evening of fine music including favorite Filipino classics. . Central United Methodist Church, 8237 N. Kenton, Skokie. Freewill offering and refreshments after the performance. Free parking. 847-673-1311. Oct 7, Saturday, 6-12 mn – FAHM Celebration Dinner Dance*, Venue: Penna’s of Sterling 38400 Van Dyke Avenue, Sterling Heights, MI 48312. Sponsor: NaFFAA-Michigan, Contact Tony Kho (248)755-6122 / Becky Tungol (248)755-6119. Oct 28, Saturday, 5 pm, Film showing of the acclaimed writer-director John Sayles’ “Amigo” with Joel Torre in the title role, also Chris Cooper, Rio Locsin, Bembol Roco and Yul Vasquez. Set in 1900 during the Filipino American War. Tagalog with English subtitles. Color. 132 Mins. With additional commentary. 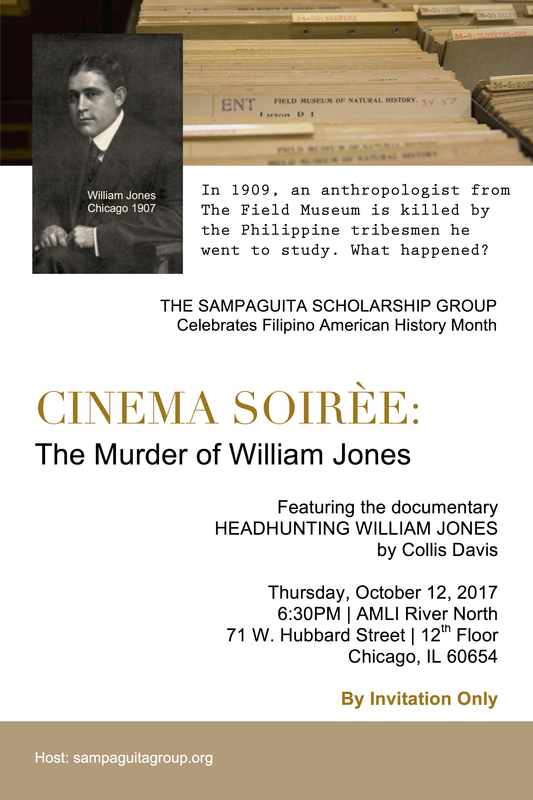 Central United Methodist Church, 8237 N. Kenton, Skokie , Refreshments prior to screening. Free admission and parking. Call Mariano Santos 847 528 4991 for details. 2017 Piyesta Pinoy – Another Huge Success, Year four and stronger than ever! Year four and stronger than ever! 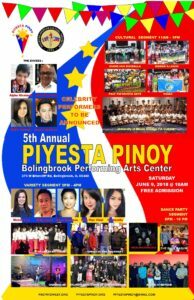 Bolingbrook, IL — One of Chicagoland’s biggest celebrations of the Philippine culture returned to Bolingbrook for the 4th year on Saturday, June 10, 2017 and it was a huge success. An estimated crowd of about 7,000 came to join the Piyesta in spite of the very hot but windy weather. For the second consecutive year in Piyesta Pinoy Bolingbrook history, we had no rain. Thanks to the consistent prayers to St Clare by the volunteers. The weather cooled off later in the evening that brought in more crowd in time for a couple more hours of entertainment featuring two bands performing at Piyesta for the first time. Messiah’s Puzzle sang several Journey favorites and Kaleidoscope Eyes closed the evening with 45 minutes of Beatles hit songs. “As Mayor of the Village of Bolingbrook for 31 years, I am honored to extend my personal greetings to my Filipino friends for a successful 2017 Philippine Independence Day Fest. The Filipinos play an important role in our community and continue to make significant contributions for the good of all our residents.” said Village of Bolingbrook Mayor Roger Claar. 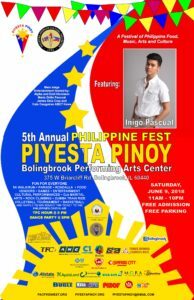 “Bolingbrook’s Piyesta Pinoy is an excellent vehicle for strengthening the sense of togetherness and sharing the spirit of fraternal kinship that Filipinos all over the world carry in abundance. It is in this same spirit that I commend the dedication and commitment of the men and women behind this event in their continuing efforts to preserve and promote the Filipinos’ proud and rich cultural heritage in Chicagoland,” said Consul General Generoso Calonge. A huge thank you to Village of Bolingbrook Mayor Roger Claar and the village staff, to Consul General Generoso Calonge and to our special guest of honor from the Philippines – Congressman Salvador Belaro Jr. for your welcome remarks, program book message and most especially for your presence to join our event. “We would like to express our admiration and appreciation for the tireless efforts of Piyesta Pinoy Planning Committee, our volunteers, cooperation of various NFP organizations, sponsorship of our corporate groups, individuals, advertisers, media, food and booth sponsors and performers to showcase our cultural heritage and traditions to strive for unity in the community and to share our moral values with our youth through community involvement in the celebration of our 119th Philippine Independence Day. 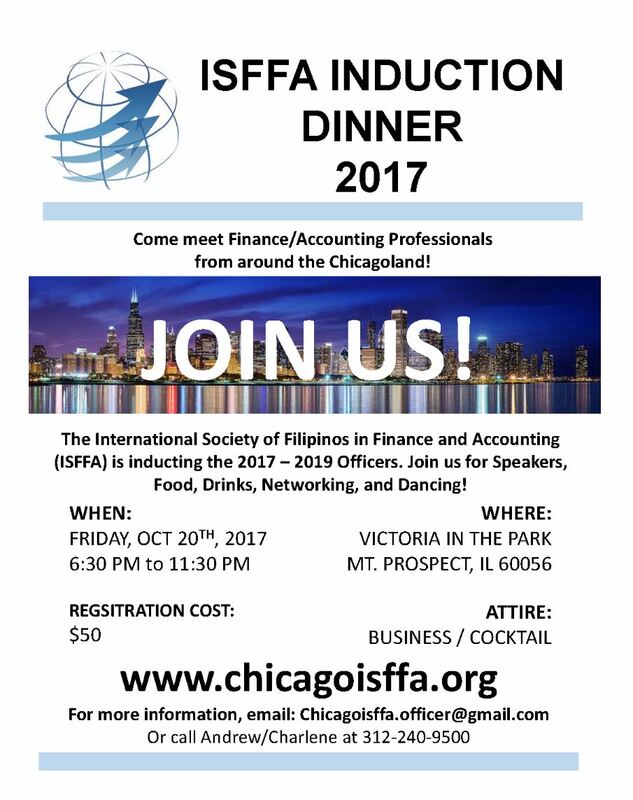 We wish to extend our warmest appreciation to the Philippine Consulate General of Chicago and the Village of Bolingbrook for hosting and for their partnership.” said PACF President Adeline Fajardo. This year’s festival included the inaugural Piyesta Pinoy Bayani (Hero) 5K (Run, Ruck, Walk) to commemorate the 75th Anniversary of the Bataan Death March and to honor the Filipino and American service members who sacrificed their lives during this tragic moment in Filipino-American history. As in the previous years, the biggest crowd came during the TFC hour. Many thanks to The Filipino Channel for bringing celebrity actor/singer/composer Jericho “Echo” Rosales along with versatile emcee Gelo from the Bay area in California. Announcing the Split-the-Pot raffle winners: 1st Prize – Tim Barron, 2nd Prize – Ely Natividad and 3rd Prize – Ronnie Amiscaray. Part of the cash proceeds will be donated to the American Diabetes Association and the rest will go to PACF funds for cultural and humanitarian projects. Festival organizer, the Philippine American Cultural Foundation, would like to thank our organizing partners and hosts – the Philippine Consulate General of Chicago and the Village of Bolingbrook. We also would like to thank our sponsors for their donations and continued support: Platinum Sponsors – The Filipino Channel, Three Horses Jasmin Rice; Gold Sponsors – Blue Cross Blue Shield of Illinois, LBC Mundial Corporation and Seafood City; Silver Sponsors – Allstate, Eva Air, InHome Personal Services, Mark A. Tan – T Capital, Salad Master/Triple A Health Venture, Signature Event Designs, and Creative Imprints Plus; Bronze Sponsors – Bolingbrook Bugle , Global Cargo Movers, Madrid Crost Law Group and Philippine Week Committee; Donors – Amita Health, E+O, Fiesta Market , Hong Ning, Magnolia, Nicor Gas, Valerio’s and Village Creamery. Maraming salamat to MegaScene, One Philippines, PINOY News, and VIA Times/CPR TV for media sponsorship. Maraming salamat to our food vendors Kusinang Pinoy, Mang Juan, Mabuhay Restaurant, Manila Fiesta, Uni-Mart, Kitty’s Irish Ice, Seafood City and the concession stand at the venue, Bolingbrook Performing Arts Center. Maraming salamat to our amazing performers: National anthem singers Emil Nicolasin and Louella Cabalona; Cultural performers – BIBBAK Illinois, Chicago Anklung and Rondalla Ensemble, Loyola Kapwa Cultural, PACF Performing Arts, UIC FIA Cultural, Lane Tech, Philippine Dance Troupe of Fox Cities from Wisconsin and PASAC; Singers – James and Jannae Agena, Anna Nicolasin, Dragonheart Idols, Emil Nicolasin , Silayan Group, Alyssa Solomon, and David Wycoco; Dancers – Chicago Hawaiian Dancers, Hot Lips from Wisconsin and UIC FIA Modern; DJ Richie Gil and Rommel Gaspar; Musical Bands – Blue Marlin Band, Live Wire Band, Messiah’s Puzzle, Kaeleidoscope Eyes, Manic Museum Band and Samasama Project; and Emcees – Alpha Nicolasin, Lakhi Siap, Ma. Girlie Pascual, and James Delacruz. 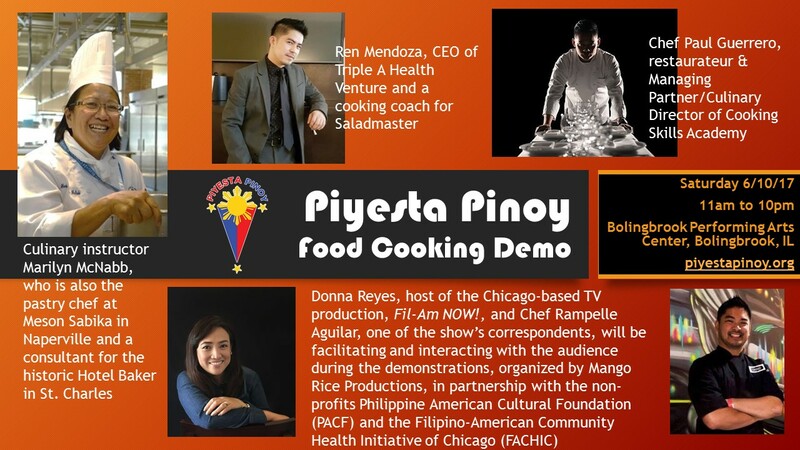 Maraming salamat to the chefs of our Fil-Am Chefs Cooking Exhibition: Accomplished Fil-Am Chefs Marilyn McNabb, Chef Paul Guerrero and cooking coach Ren Mendoza are showcasing their own recipes. Special thanks to Donna Reyes and Rampelle Aguilar for facilitating and engaging the audience during the demonstrations organized by Mango Rice Productions, in partnership with the Philippine American Cultural Foundation (PACF). Maraming salamat to the 2017 Piyesta Pinoy sa Bolingbrook Committee who worked very hard since last year to make this year’s festival a huge success. : Overall Chair Ruben Salazar, PACF President Adeline Fajardo, Cindy Lopez, Merle Salazar, Jan Paul Ferrer, Michelle Delson, Rae Joyce Baguilat, Isabelle Cerdan, Romy & Tita Balcita, Pia Natividad, Ely & Evelyn Natividad, Anna Gina, Alpha & Emil Nicolasin, Lakhi Siap, Ms. Girlie Pascual, James Delacruz, Rome Nichols, Donna Reyes, Everett Icao, Mark Tan, Allan Desiderio and the Security Team, Glenn Bermejo, Trista Maltizo, Rudy & Carmen Garcia, Philippine Nurses Association of Illinois and all the First Aid Team, Nell & Lain Frias, Iris Kay Strauss and the Videographer/Photographer/Social Media team. Thank you to all our volunteers and unsung heroes and excuse us for not listing all your names. The successful operation of each area from souvenir program to communications, raffles, stage performances, volunteers, cultural activities, delicious food, first aid, and others made this celebration truly enjoyable and… the best ever. It would not be humanly possible to orchestrate such efficient and meaningful activities without your help.